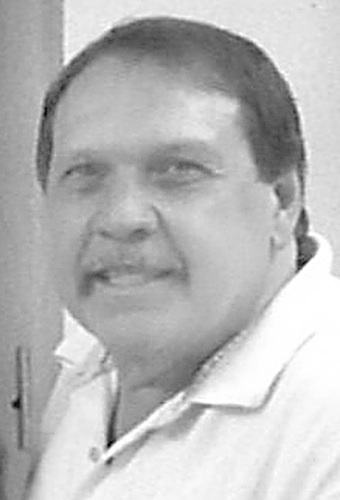 Michael David Casinelli, 63, of Follansbee, WV, died peacefully on Tuesday, September 4, 2018, at Trinity Medical Center West in Steubenville, OH. Born on January 8, 1955, in Steubenville, OH, a son of the late Guy and Pierre (Martino) Casinelli. In addition to his parents, he was preceded in death by a brother, David Anthony Casinelli; a sister-in-law, Glenda Casinelli; and two nephews, Gaetano Casinelli and David Casinelli. He graduated from Brooke High School in 1973 and from Memphis State College with a degree in marketing. Mike retired from Coca Cola Company, where he worked as a sales representative. He is a member of St. Anthony Catholic Church in Follansbee, WV, and a member of the Garibaldi Lodge, the Cedar Lodge, and the Theta Chi Alpha fraternity. Mike is survived by six siblings, Fred Casinelli and his companion, JoAnn McCarthy of Toronto, OH, Phillip Casinelli and fiance Lana Grill, Mary Margaret (Joe) Ierise, Guy (Sandy) Casinelli, Gloria Rairigh and fiance Jack Burge, Lawrence (Shqiponje) Casinelli, all of Follansbee, WV; two uncles, Frank (Violet) Martino and Ernie Gampolo; along with several nieces and nephews. Visitation will be held on Friday, September 7 from 1-8 p.m. at the Mullenbach Funeral Home at 669 Main St., Follansbee, WV. Theta Chi Alpha will hold services at 7 p.m. and a vigil service will be held at 7:30 p.m. at the funeral home. Mass of Christian burial will be celebrated on Saturday, September 8 at 9 a.m. at St. Anthony Catholic Church at 1017 Jefferson St., Follansbee, WV with the Rev. Fr. Cody Ford as celebrant. Interment will follow in Oak Grove Cemetery in Follansbee, WV. Condolences may be sent to www.mullenbach fh.com.